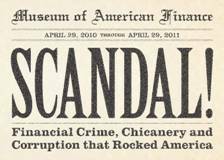 The story of financial scandal in America begins in 1792, with a colossal securities market crash caused by the speculative activity of a former member of Continental Congress and deputy at the US Treasury, William Duer. Since then scandals have surfaced throughout American history, inciting outrage and often spurring reforms to ensure that similar events never recur. In recent years, accounting scandals, investor fraud and failures of corporate governance and risk management have been thrust into the spotlight. Accounting scandals that emerged in the early 2000s led to the passage of the Sarbanes-Oxley Act, which increased regulation, oversight and accountability in corporate accounting practices. The failure of large corporate entities ranging from banks to Wall Street investment houses and government-sponsored mortgage agencies has brought questions of risk management and corporate governance to the forefront, posing us with new challenges and questions of how to balance private enterprise with fair and effective oversight. From betrayals of the public trust by government officials to betrayals of investors by Ponzi artists, and from corporate accounting fraud to egregious failures of risk management in more recent years, “Scandal!” explores the history of these episodes in American history, scrutinizing the people involved and the damage they caused. Even though names like Teapot Dome, Credit Mobilier, Ivar Krueger and Tino De Angelis have all but faded from history, they created shockwaves in their time and continue to echo in events that are unfolding today—reinforcing the adage that even though history doesn’t repeat itself, it certainly does rhyme. 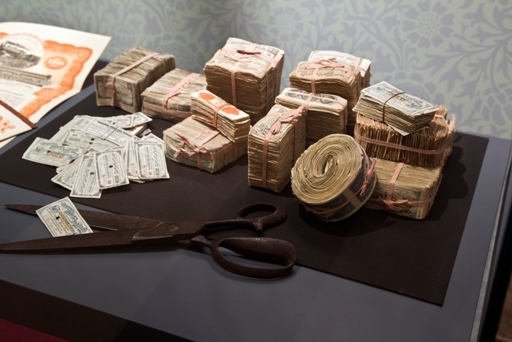 The everyday ordinariness of the money we carry masks a rich and tumultuous history. 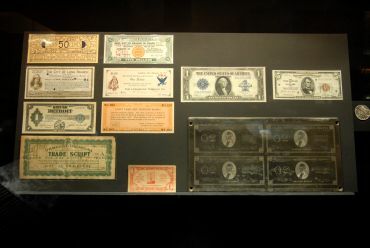 Ever since the Dutch settled Manhattan, currency in America has continually evolved. 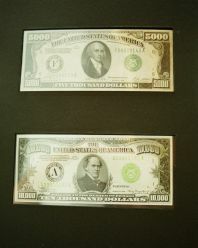 Our responses to the threats of war, crime and economic crisis have shaped money's design and even altered its value. Over time, the emergence of the dollar as a stable, universally recognized currency made the U.S. a global economic powerhouse, and indeed helped to unify the country itself. 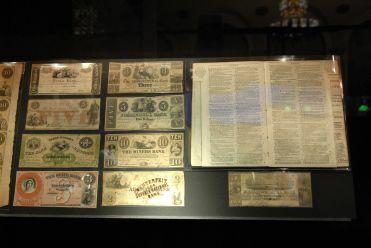 This exhibit traces our country's currency from the earliest years through the latest designs and features barter currencies, gold, coins, paper money and scrip. 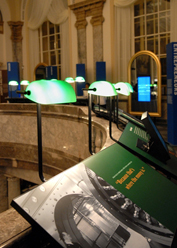 A tactile money display allows visitors to touch historic and modern coins, and to view the security features in modern money on a light board and under an ultraviolet light. 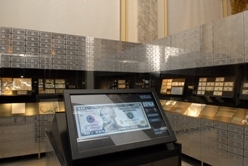 A large-scale touch screen interactive enables visitors to view the many hidden anti-counterfeiting devices incorporated into the newly-redesigned $10 bill. From the establishment of the Bank of North America in 1781 to the creation of the newest community bank, and from the largest universal bank to the humblest credit union, depository institutions – commercial banks, savings banks, credit unions – have been and likely will remain crucial components of the financial system and the larger economy. Without them, people would find it difficult to pay their bills, corporations could not be extended various forms of credit, and federal and local governments could not operate. 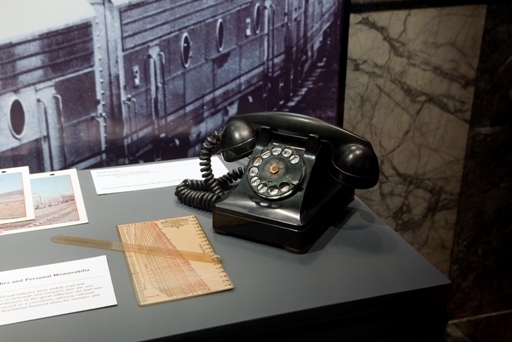 This exhibit explores the history of banking in America and explains the different types of banks and bank accounts. It also features multi-media sidebars on bank robberies, credit cards and the infamous S&L crisis, as described in the classic movie It's a Wonderful Life, as well as a display of historical piggy banks. 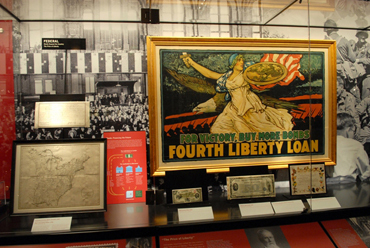 "Banking In America" allows visitors to learn about The Federal Reserve Bank system, how the payment of a check makes its way through the banking system, and what's really in those contracts that we agree to when we sign up for a credit card. 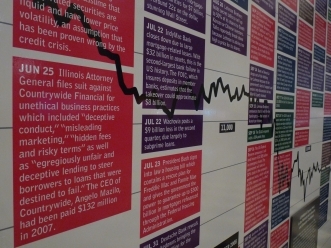 “Tracking the Credit Crisis: A Timeline” traces the development of the current financial crisis, which is the most severe and complex economic and financial challenge in modern experience. 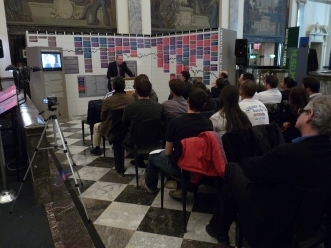 Presented as a monumental 8’ x 20’ graphical wall accompanied by a video presentation, the timeline begins with the bursting of the U.S. housing bubble in late 2006 through the unprecedented trillions being guaranteed and injected into the private sector in 2008-2009 by the government. President Barack Obama’s stimulus package of almost $800 billion is part of the stabilization effort to forestall a financial collapse, in a global environment in which some $40 trillion in wealth has been lost (on paper) in the last 18 months. The U.S. government’s actions represent a watershed in American economic and political history. In employing roughly half of all private sector employees, small businesses and their entrepreneurial spirit stimulate economic growth and are a foundation of America's economy. Most new inventions and creative ideas or related modifications arise from them, just as the first airplane was built by two brothers who owned a tiny bicycle shop. 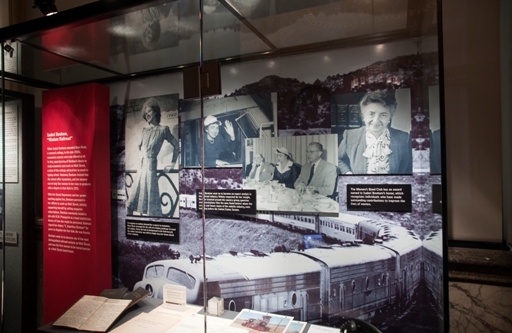 In this exhibit visitors will encounter stories woven with innovation and resourcefulness, a tolerance for risk and, above all, constant determination. The video interviews with 16 modern-day entrepreneurs will reveal people who creatively identified opportunities and took the initiative to realize their ambitions. In their passion to succeed, entrepreneurs often work 60 to 80 hours a week, with hustle and ingenuity. Entrepreneurs are market-driven and action-oriented, always looking to satisfy customers while guarding against making competitors rich from their work. As you will see, their single most vital characteristic is focused persistence. Financial markets connect those with money to those with ideas about how to use it. They enable entrepreneurs to realize their visions, companies to grow and governments to better serve their citizens. In doing so, they have made Wall Street a center of innovation and an invaluable engine of America's prosperity. 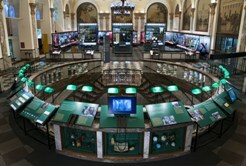 The largest of the Museum's permanent exhibits enables visitors to experience the excitement and energy of Wall Street through monumental media towers representing three of New York's premier exchanges: the New York Stock Exchange, the New York Mercantile Exchange and the Citigroup Bond Desk. 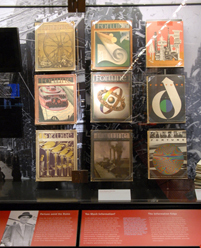 "The Financial Markets" also traces Wall Street's history from its earliest years to the present and features multi-media and interactive displays alongside hundreds of original documents and artifacts that depict the rich history of the stock, bond and commodities markets. 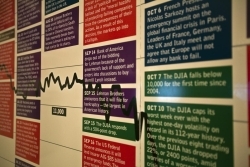 In "The Financial Markets," visitors will hear from the leaders and traders at the most important locations of stock, bond and commodity trading in New York. 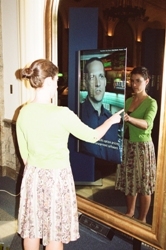 In original films created for the Museum, interviews conducted on the trading floors at the New York Stock Exchange, the New York Mercantile Exchange and at Citi allow the viewer to experience these financial firsthand, directly from those working in the industry. As America's first Secretary of the Treasury, Alexander Hamilton stands alone in the annals of American financial history. One of the founding era's key political figures, Hamilton's influence on our fledgling country's early finances set the wheels in motion for the United States to become the economic super-power it is today laying the foundations for the U.S. capitalist system. 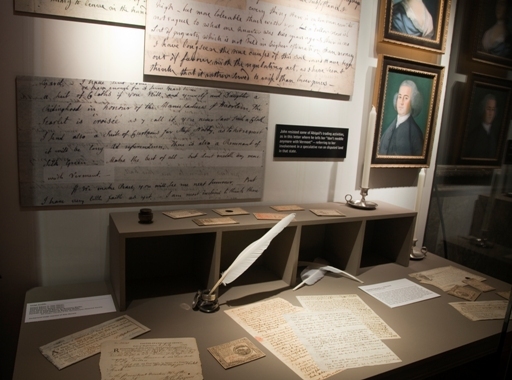 This exhibition traces Hamilton's life from his birth into poverty in the Caribbean through his rise to military and political greatness in America, becoming America's premier economic thinker. As the first Secretary of the Treasury, he saved the new nation's credit, established plans for funding our new country's debt, created a national bank, and used the tax system to encourage economic development – all ideas considered "radical" by most Americans of the time. Hamilton also founded the Bank of New York, New York City's first bank that was located at 48 Wall Street until 1998. 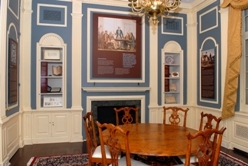 The Museum's Alexander Hamilton Room was designed in the federalist style in 1927 to pay tribute to the Walton House, where the Bank of New York first conducted business in 1784. 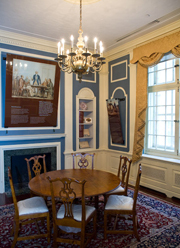 The room originally served as the bank president's office. 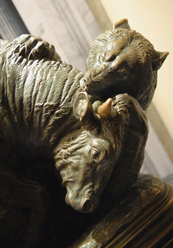 The story of women on Wall Street is the story of women in America. Issues of self-determination, freedom and financial independence clashed with societal norms in the traditionally male domain of finance. Until recent decades, women had largely been excluded from Wall Street. Despite this, there were women who defied convention and made a name for themselves in finance. Abigail Adams realized the advantages of trading bonds over purchasing farmland, and eventually persuaded her husband to her point of view. Victoria Woodhull opened a brokerage on Wall Street and used her earnings to finance her iconoclastic newspaper. Hetty Green wrested control of her inheritance from the trustees of her family’s estate so that she could manage it herself. 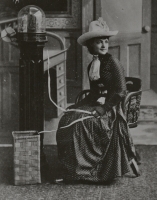 These pioneering women battled for both personal and financial self-determination. During the 20th century, women slowly began joining the ranks of professionals on Wall Street as equals. Isabel Benham was one of the first women to be named partner at a Wall Street firm, and Muriel Siebert was the first woman to purchase a seat on the New York Stock Exchange in 1967—the lone woman amongst over 1,300 men. Women have since made great strides towards equality. Learn about these women’s contributions to Wall Street history, and hear top female executives in finance today speak to the changes they have seen over the course of their careers—and discover how the inclusion of women has changed the financial services industry and the American workforce as a whole. Despite losing $7 billion in 12 months, software man retains his title as America's richest person for the 16th straight year. Despite losing $7 billion in 12 months, software man retains his title as America's richest person for the 16th straight year. Microsoft shares down 8% in past year but up 65% from March lows. He sells stock every quarter, redeploys proceeds via personal investment outfit Cascade. More than 60% of fortune held outside Microsoft; investments include Four Seasons hotels, Televisa, AutoNation. Stepped down from day-to-day duties at Microsoft last summer to focus on philanthropy. Bill & Melinda Gates Foundation dedicated to fighting hunger, improving education in America's high schools, developing vaccines against malaria, tuberculosis and AIDS. Endowment: $30 billion. Penned first report on foundation's projects in January. Touted progress made on preventing fatal childhood diseases; confessed frustration at challenge of creating an affordable, effective AIDS vaccine. 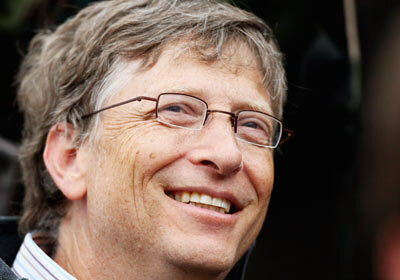 Ramping up personal contributions: donating $3.8 billion this year, $500 million more than in 2008. America's favorite investor lost $10 billion in past 12 months on his Berkshire Hathaway shares. America's favorite investor lost $10 billion in past 12 months on his Berkshire Hathaway shares. Provided calming guidance to panic-stricken investors during financial crisis last fall; avowed enduring faith in U.S. economy, advised bargain hunting: "Be fearful when others are greedy, and be greedy when others are fearful." Shrewdly invested $5 billion in Goldman Sachs and $3 billion in General Electric last fall. Suffered a $1.5 billion loss in first-quarter 2009; Berkshire notched $3.3 billion profit in second quarter thanks in part to bet on Goldman. Son of Nebraska politician filed first tax return at age 13, claiming $35 deduction for bicycle bought for paper route. Met value investor Benjamin Graham while studying economics at Columbia. Took over textile firm Berkshire Hathaway 1965, used as vehicle to invest in insurance (Geico), food (Dairy Queen), utilities (MidAmerican Energy) and recently green tech (electric-car maker BYD). 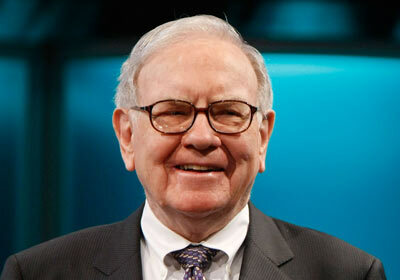 Believed to be grooming NetJets Chief David Sokol to eventually take over Berkshire. Appearing in cartoon form on upcoming online-tutor series The Secret Millionaires Club. 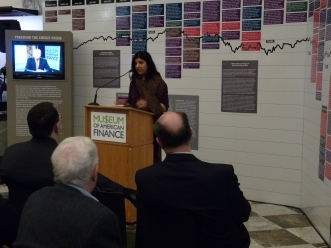 The Museum of Business, Commerce and Wealth is a New York State Corporation. Every contribution to the Museum of Business, Commerce and Wealth is vital and urgent, and will be acknowledged in our list of sponsors. The monies will go to research, staffing, drivers, maintenance of offices, the library, and audio / video equipment. We have made arrangements by which individuals as well as businesses and corporations can make in-kind contributions to the Museum. (All such contributions will be acknowledged in the list of funders.) Moreover, every funder or company logo will be prominently featured on our website. All checks, grants and contributions should be made payable to Historic Collection of Business, Commerce and Wealth. Museum of Business, Commerce and Wealth operates under 501( c ) 3 regulations. All contributions, donations, pledges, in-kind donations and gifts are tax-deductible. All contributions and pledges can be in the form of cash, checks, and credit/debit cards: Amex, Visa, MasterCard and Discover/Novus. We thank you for all contribution and gifts. 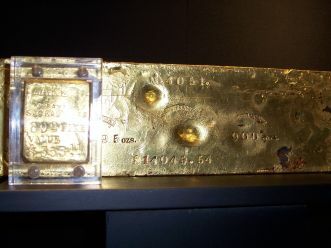 © 2003 Museum of Business, Commerce and Wealth. All rights reserved.